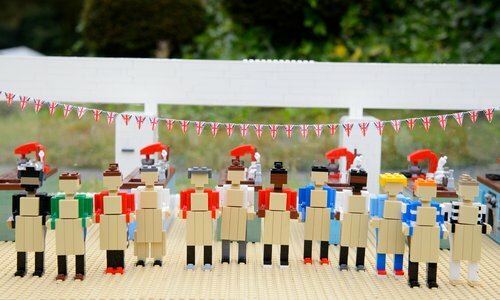 Lego Takes On 'Bake Off'... But Can You Spot Mini Mary Berry? If you like cakes, The Great British Bake Off is compulsive watching...but just wait until you hear about the spin off! 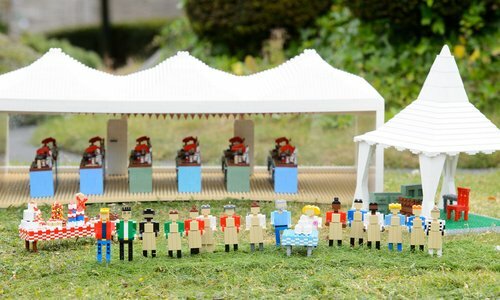 Yes LEGOLAND® Windsor Resort have gone all out and created the 12 contestants in miniature, alongside everyone's favourite female presenter duo Sue and Mel and not forgetting the REAL stars of the show, judges Mary Berry and Paul Hollywood! Read more: Lego Have Announced A Disney Castle And Our Inner Child Is SO Excited! Not only have the team behind the idea created the cast however, they've also made mini tens and baking ovens for them to pretend to bake at. Now that's what we call attention to detail! The clever creation will follow the show, with the pint-sized contestants being booted off at the same time their real-life doubles are voted out of the show. Read more: A Shakespeare Marathon Medley Made Entirely From Lego! Visitors can check it out until November 2016 at LEGOLAND® Windsor Resort.